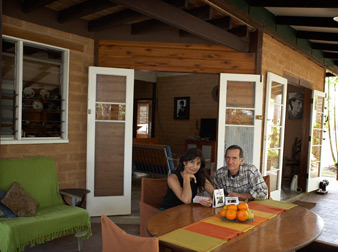 SpiceZ is a boutique Spicery nestled in the beautiful Koah Valley in Far North Queensland. Situated on the outskirts of the lush Kuranda Rainforest, Koah is the home of citrus and lychee orchards, productive market gardens, apiaries and red claw farms… It was here that the concept of the Spicez Curry Kit was born. When Zana’s Dutch-Sri Lankan Grandparents migrated to Cairns in the early 50’s they brought their love of food with them and quickly established a spice garden. They grew all the tropical spices and flavouring herbs as well as their own coconuts. Cooking in the traditional way, they made their own coconut milk and hand roasted and ground the spices for their daily meal ritual of rice and curry. This passion for cooking and gardening was adopted by Zana’s mother who went on to open Sri Lankan restaurants in Cairns and Kuranda as well as catering for private parties. She has always been an inspiration to her 9 children and 23 grandchildren who all share her love for this exotic and delicious food. After working as a chef for many years Zana’s interest in Sri Lankan and Middle-eastern cooking grew. She began to practice the art of spicing, creating many of her own blends and seasonings. Over time, Zana recognised a desire in her friends and family to be able to reproduce her curries without the difficulty of sourcing the right spices. To enable people to experience Sri Lanka in their own kitchens Zana created a series of gourmet Sri Lankan Curry kits. These Kits were created for people too busy for complicated food preparation and daunting ingredient lists but find great pleasure in a home cooked meal. Creating an authentic taste was paramount. Much time has been spent in sourcing the best whole spices available. Zana has many secret ingredients but the most important is love. You will taste the love that has been passed down through the generations in her spice products as though you were sitting at her grandmothers table. In honor of her mothers dream to have a gathering place, Zana’s husband Ken designed and constructed a purpose built facility on their property that also serves as a space for clients, friends and family to share conversation, intimacy and laughter. Ken is now the horticulturist and grows, harvests and dries the flavouring herbs of Lemongrass, Curry leaves and Rampe that are included in the curry kits. This is indeed a labour of love.